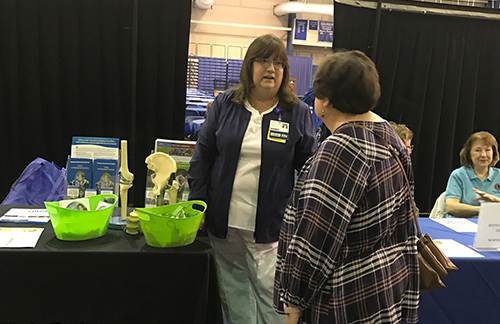 The Orthopaedic Hospital at Sentara CarePlex participates in many events throughout the community including the Peninsula Agency on Aging Wellness Café at the Community Forum on Aging Event. Our display focused on activities and exercises to maintain healthy joints. 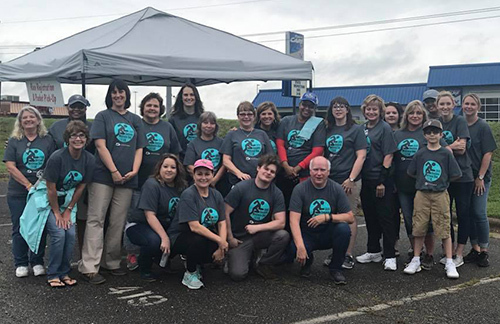 On May 19, 2018, Sentara Halifax Regional Hospital, Sentara Southern Virginia Orthopedics and Sentara Dominion Health Medical Associates participated in the Sentara Wellness Day 5k and Fun Run at Halifax County High School in South Boston, Virginia. There were many exciting booths and vendors for visitors to explore and 75 individuals completed the 5k race. Educational materials were available to the public, as well as orthopedic models, giveaways and refreshments. 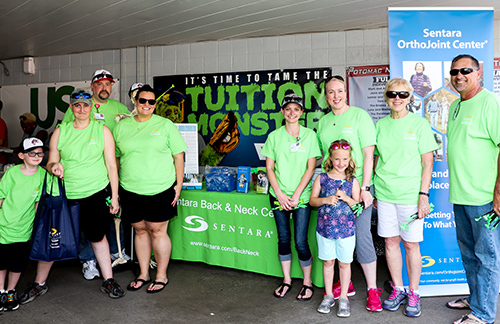 Sentara Northern Virginia Medical Center encouraged community members to “Get Back in the Game” during their Sentara Orthopedics Night with the Potomac Nationals minor-league baseball team. 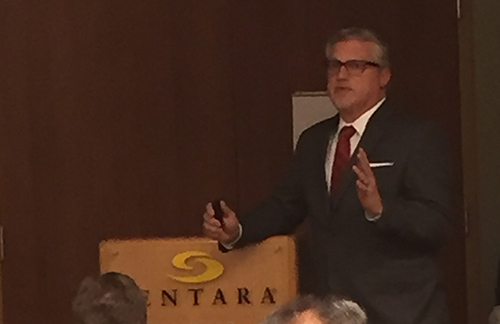 At Sentara RMH Medical Center, Dr. Frank Cuce spoke at the semiannual Ortho 101 Seminar for Total Joint Replacements. This is open to the public with approximately 30-40 in attendance. This seminar helps people to know when is the appropriate time to get a total joint replacement. 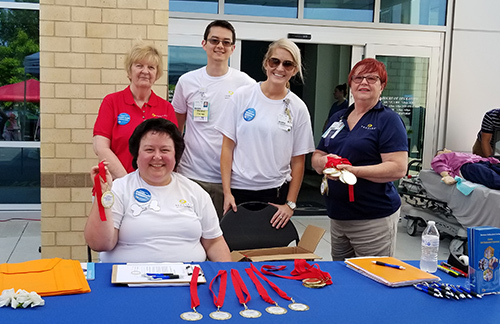 The Orthopedic Hospital at Sentara Leigh hosted the third annual Sentara OrthoJoint Center® 1 Mile Stroll with over 100 community members joining the celebration as patients were able to show off their new joints. 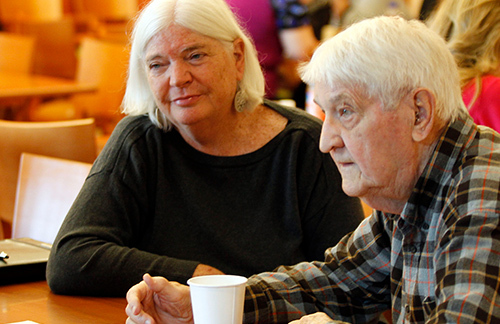 In 2017, Sentara Martha Jefferson Hospital introduced a quarterly Reunion Brunch for its joint replacement patients. Several weeks after patients have been discharged, they are invited to join orthopedic nurses and physical therapists for a brunch to let us know how we can improve. 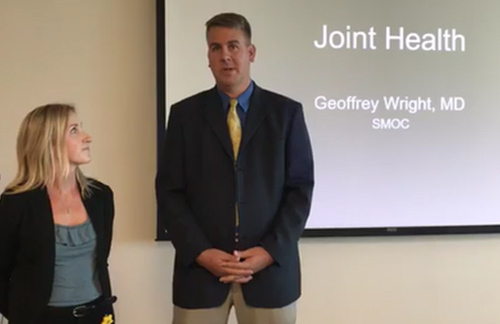 Orthopedic surgeon at Sentara Obici Hospital, Dr. Geoffrey Wright, was interviewed for a Facebook posting before a community seminar at Sentara BelleHarbor. He shared information on joint health with the attendees at the seminar and a Facebook audience. 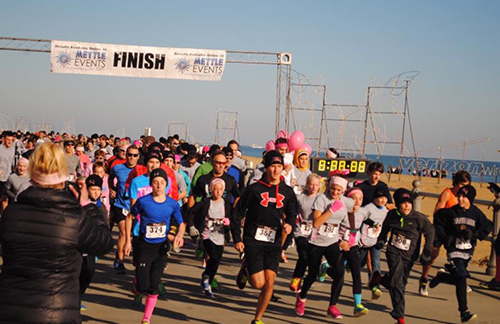 Orthopedic nurses and surgeons from Sentara Virginia Beach General Hospital made bronze sponsor donations and walked in the “5K: A Run for Kendra” in honor of a special friend. 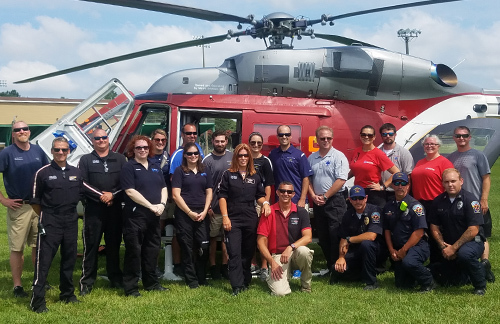 Sentara Albemarle Medical Center supported EMS/AT training in their community. Dr. Jared Miller provided eight different scenarios in which four student athletes played the patient role and the ATs had to assess them and correctly identify the illness/injury and follow proper protocols along with EMS. To add authenticity to the training, the Nightingale Regional Air Ambulance made a surprise landing on the football field. 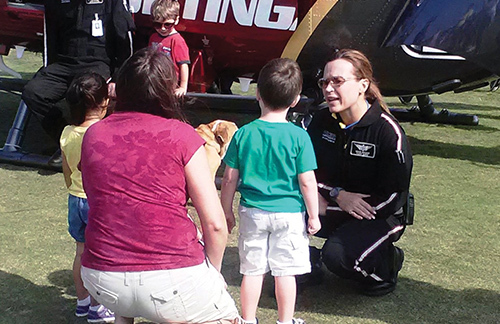 Nightingale nurses from Sentara Norfolk General Hospital provide education to the community. Nightingale often provides emergency transportation and care for trauma orthopedic and spine patients. 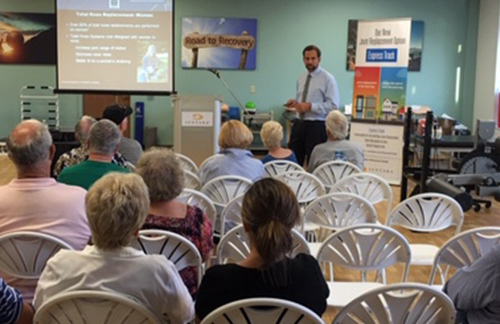 The Sentara OrthoJoint Center® at Sentara Princess Anne Hospital hosted a community education event where Dr. Scott Grabill, a board-certified orthopedic surgeon, spoke on osteoarthritis and joint pain. This event, held at Sentara Edinburgh, educated over 50 attendees on ways to improve bone and joint health. 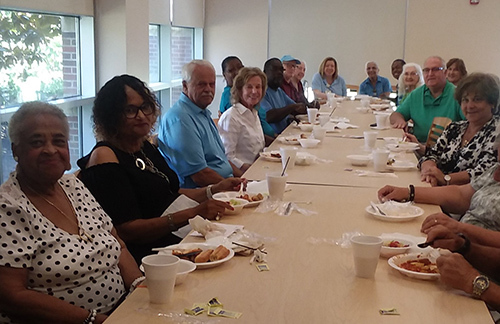 At Sentara Williamsburg Regional Medical Center, recent joint replacement patients and their coaches enjoy a Reunion Lunch to celebrate their new joints and the ability to enjoy life again.